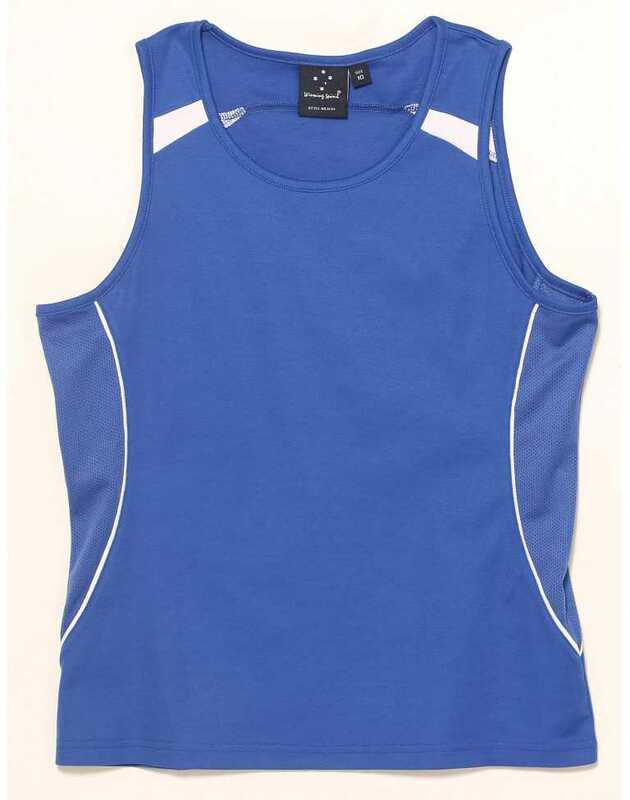 The Legend singlet for ladies is the fusion of style and comfort. 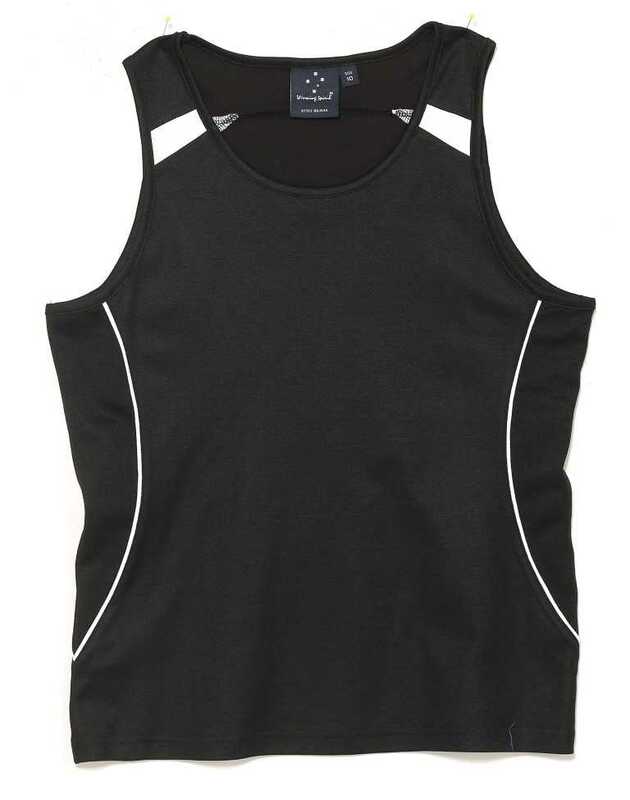 This singlet offers antibacterial and quick dry features. 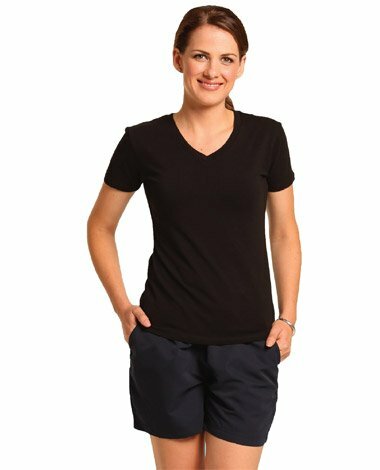 The sportswear is made up of 160gsm TrueDry Cotton Backing Mesh fabric with the combination of 60% cotton and 40% polyester to give a unique and good looking design. 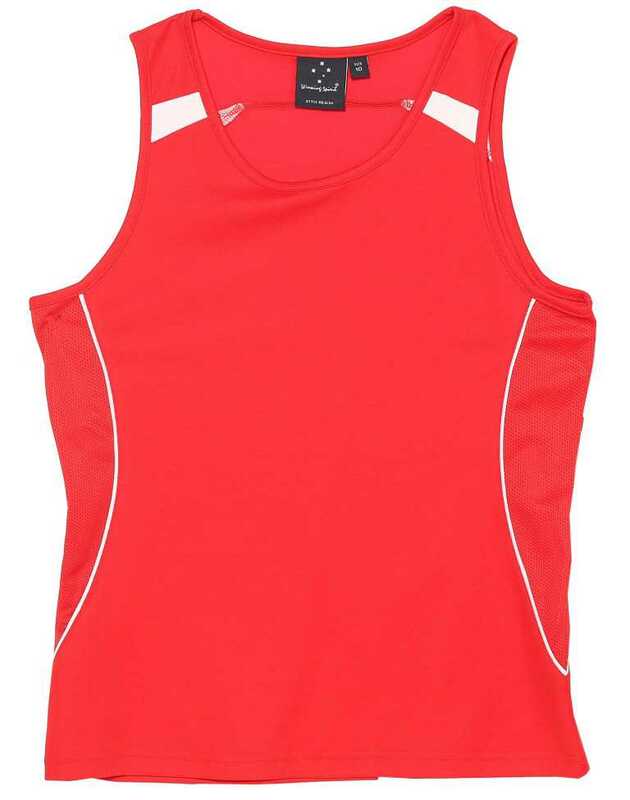 The Breathable mesh panels under arms and on sides can give the ultimate pleasure of sports without the worries of heavy sweating. 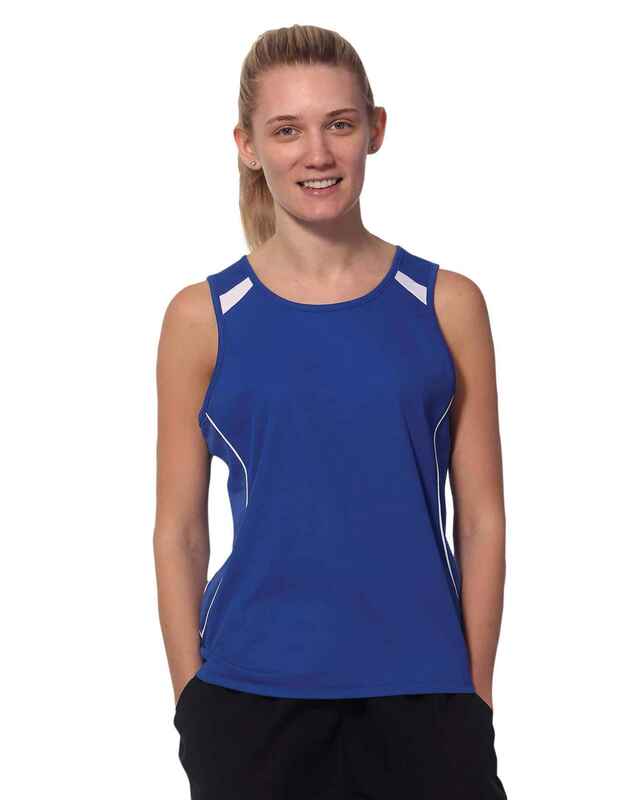 The perfect design with the piping on shoulders and sleeves flatters the contrast panels, giving a more sporty look.